! 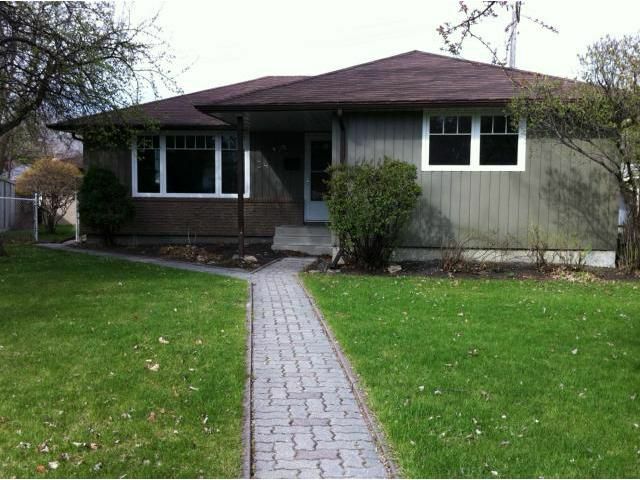 A lovely, well maintained, well situated bungalow in Westwood. Quiet neighbourhood, Great curb appeal, 3 spacious Bedrooms including a large master and an office in the basement, 3 bathrooms (ensuite), gleaming oak hardwoods, huge & open kitchen with vented cook top and lazy Susan cabinets/pantry drawers, single garage with automatic opener and back parking pad, central air, finished basement w huge recroom for the kids, tons of storage, pie shaped lot w/big backyard, close to schools and parks. Upgrades include: Triple pane Jeldwen windows (09/11), Kitchen (03/04), shingles (03), High Efficiency furnace (09), exterior paint (12), hot water tank (10). Just a great house in a great area for a great price! What's not to love?! ....Call today!